The course runs in it’s entirety 2 times a year. One starts in January and the other in July. Take as long as you want to finish the course (years if needed but not recommended) and come any day of the course. If you cannot start on day 1, then a Free Intro Into Permaculture Class (that is given every Friday evening before each weekend of the course – <!– –>those dates are posted here<!– –>) is necessary to start on any other day of the course. 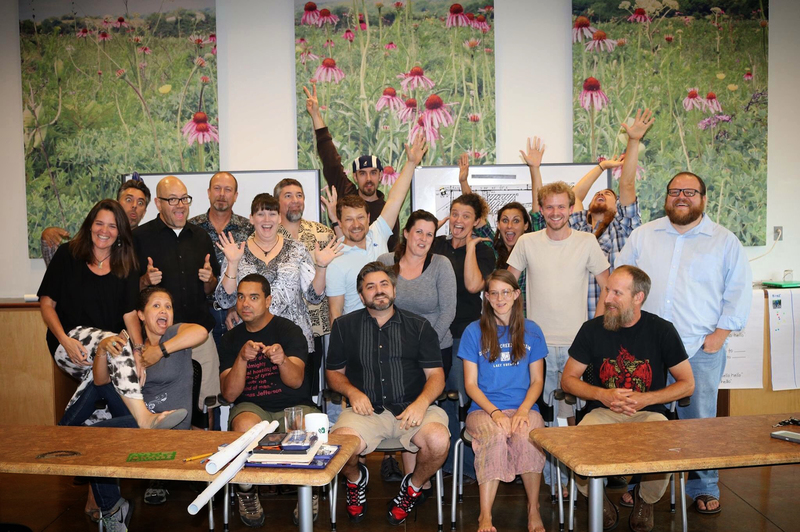 No longer will you HAVE to come up with all of the funds to pay for the Permaculture Design Course all at once. This Permaculture Design Course format lifts the burden off of us (on certain levels) which in turn will lift the financial burden off of you. If you have the funds all at once – great pay the course in full and get a considerable discount by doing so. If you would like to pay by the day that is great too! Work days and field trips will be planned on days/weekends we are not running the course to give more hours involved in experiencing and learning permaculture. Reading, surveying, and moving the land for drought resistant beneficial results. If you just love what we do and want to support us or help sponsor a student, please donate by clicking here.